For more information about Hyperthermia please visit our website at www.lifehealthcenters.com or contact us at 385-336-7777. We are happy to answer any of your questions. Current theories have suggested that the brain is the sole source of mental illness. 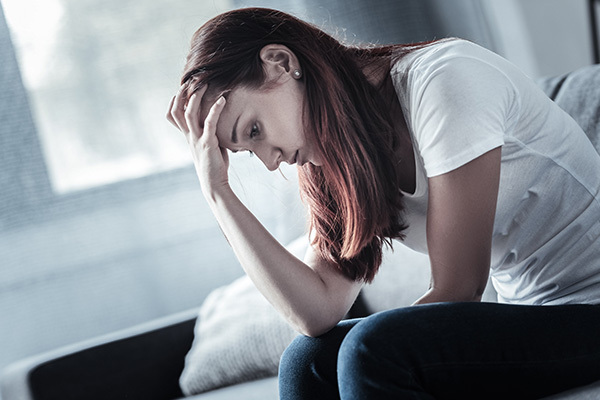 However, affective disorders, and major depressive disorder (MDD) in particular, may be better conceptualized as brain-body disorders that involve peripheral systems as well. This is based in the fact that clinical studies have showed afferent thermosensory signals contributing to well-being and depression. Although thermoregulatory systems have traditionally been conceptualized as serving primarily homeostatic functions, increasing evidence suggests neural pathways responsible for regulating body temperature may be linked more closely with emotional states, raising an affective warmth hypothesis. For more information about Hyperthermia please contact us at 385-336-7777. We are happy to answer any of your questions. Whole-Body Hyperthermia for the Treatment of Major Depressive Disorder A Randomized Clinical Trial. Janssen CW, PhD; Lowry CA, Mehl MR, Allen JJN, Kelly KL, Gartner DE, Medrano A, Begay TK, Rentscher K, White JJ, Fridman A, Roberts LJ, Robbins ML, Hanusch K, Cole SP, Raison CL. JAMA Psychiatry 73(8):789-795, 2016. Somatic influences on subjective well-being and affective disorders: the convergence of thermosensory and central serotonergic systems. Raison CL, Hale MW, Williams LE, Wager TD, Lowry CA. Psychol 13:1-22, 2015. Warm pleasant feelings in the brain. Rolls ET, Grabenhorst F, Parris BA. Neuroimage 41 (4):1504-1513, 2008. Whole-body hyperthermia for the treatment of major depression: associations with thermoregulatory cooling. Hanusch KU, Janssen CH, Billheimer D, Jenkins I, Spurgeon E, Lowry CA, Raison CL. Am J Psychiatry 170(7):802-4, 2013. Contact us at Life Health Centers to learn how hyperthermia can help with your conditions.